Ok, checked the map. 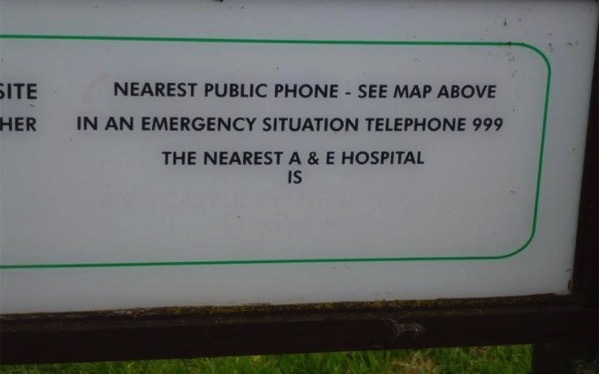 I can see the nearest location for a telephone, though I have one in my pocket, but where is the nearest hospital? Why won’t they tell me? What if this was an emergency? Help I really need to know where the nearest hospital is urgently!